We know they can win at home; now how about on the road? The Montreal Alouettes have gone West on a business trip with one goal in mind: Remain undefeated in the 2017 regular season. Easier said than done, as they will take on an Edmonton Eskimos team that played a thrilling game against the BC Lions last Saturday and will also look to remain unbeaten. Many pundits predicted that the Eskimos would finish last in the Western division as injuries, free agency and the sudden dismissal of their general manager in the off-season made people wonder just how steady the ship is in Edmonton. But you can never count out their tough-as-nails quarterback Mike Reilly, who will always give Edmonton a chance to win when he is behind centre. Last week, he stood tall and engineered the winning drive with 48 ticks left on the game clock. He heaved a 76 yard bomb to Brandon Zylstra, then ate just enough clock to allow former Alouette Sean Whyte to kick the game-winning field goal for the Eskies. This game will be likely won by the better defense and Montreal’s secondary will look to build on last week’s win, despite the cost of the victory. The Alouettes lost Greg Henderson with a fractured hand and Travis Hawkins suffered a head injury that will keep him out. This allows free agent pickup and former BC Lion Ryan Phillips to make his Montreal Alouettes debut. He’ll be lining up with Jonathon Mincy, who had a tremendous game versus the Riders and was recognized by the league as a result. Also expecting to make an impact is Dondre Wright, who has brought his high motor and playmaking ability every time he steps on to the field. He came extremely close to an interception that likely would have iced the Riders’ comeback bid. If he can pick off one of the CFL’s elite quarterbacks in Reilly, this rookie’s legend will grow just a little bit more. Reilly will be looking to counter and confound that Alouettes secondary by trying to find both Zylstra and D’haquille “Duke” Williams, who also had a monster game against the Lions. When all-star receiver Adarius Bowman is only the fourth target for Reilly, there’s no doubting the offensve firepower of this Eskimos team. And they will need that firepower on offense, because their defense suffered a major blow in Vancouver last Saturday. Linebacker J.C. Sherritt tore his Achilles tendon much the same way Alouettes QB Darian Durant did two years ago when he played for the Roughriders. Just like what happened to Doubles, Sherritt’s season is now terminated. The Eskimos had lost Cory Greenwood for the season due to injury in training camp, so that linebacking corps is starting to look thin. With that in mind, Montreal’s offense will need to get going in a hurry; much more than what they did in the first half against Saskatchewan last Thursday. Durant will look to air it out in order to find his deep threats. Edmonton gave up 264 passing yards last week and both Ernest Jackson and B.J. Cunningham will want to torch this Edmonton defense for even more. Alex Pierzchalski will be Montreal’s starting National receiver and he will look to build on the momentum from the game last week. He didn’t look good at first but he made a couple of nice catches towards the end. It seems the Alouettes may be missing Sam Giguere a lot more than many people had anticipated. Not many are giving the Alouettes a fighting chance in this game thanks to Reilly’s heroics and Montreal’s lack of killer instinct versus Saskatchewan. But if this Als defense can bring the pressure and force Reilly to overthrow his targets, mistakes are bound to be made. And this is not a defense that will let you get away with too many errors. Montreal’s O-Line didn’t allow their QB to be sacked at all last week. This line better be ready to have a repeat performance in order to keep Durant upright and able to release the ball. The Eskimo’s D-Line is among the very best of the CFL and guys like Odell Willis and Almondo Sewell will be coming hard after Montreal’s QB. 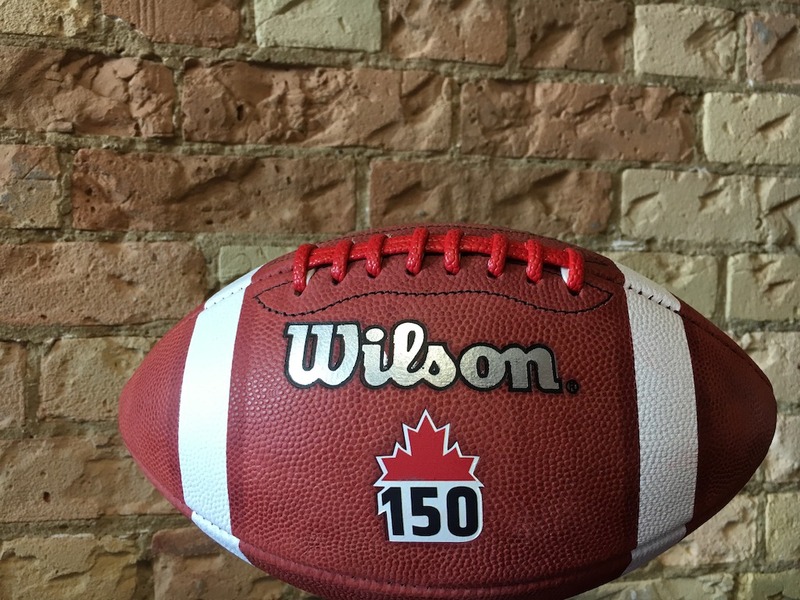 This game is also part of the Canada Day weekend celebrations being put on league-wide to help commemorate Canada’s 150th anniversary. 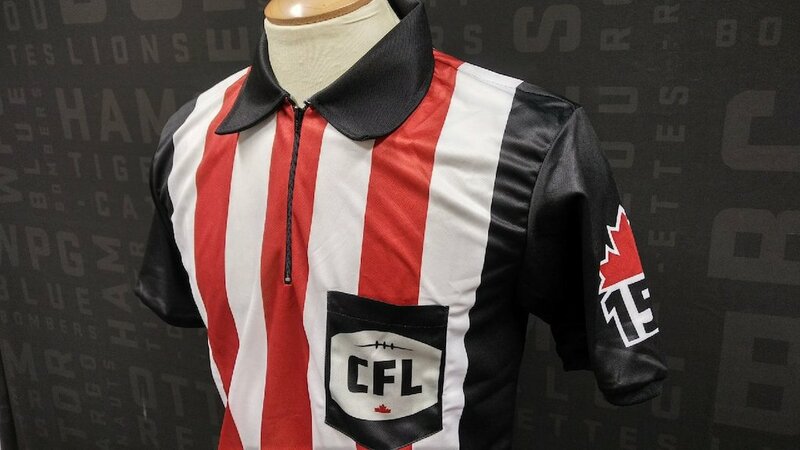 There will be some very unique features, including footballs with RED laces and some new duds for the referees. 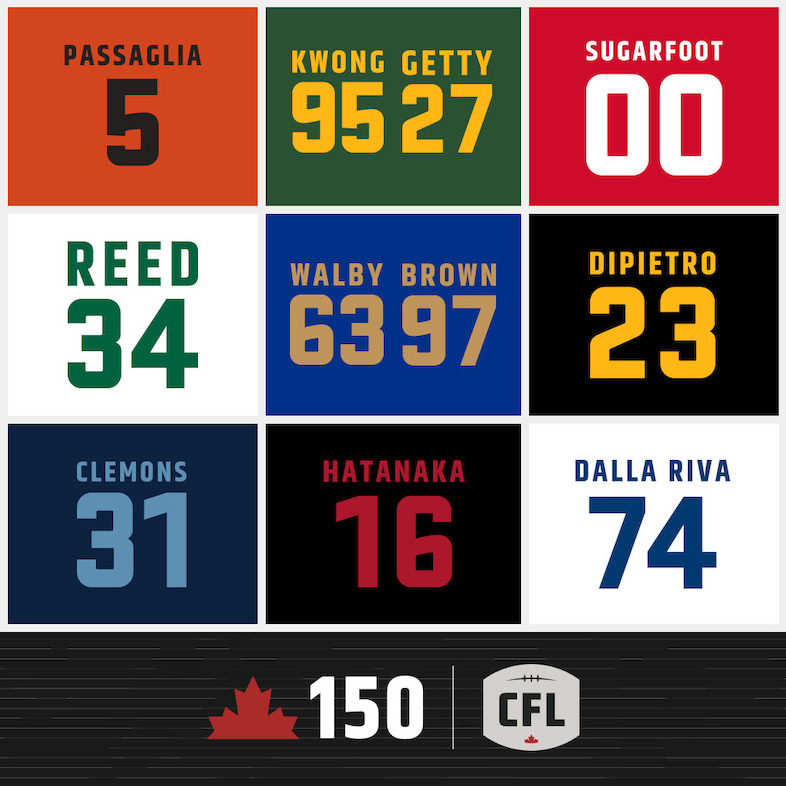 A lot of CFL greats are also being honoured league-wide with special Canada150 t-shirts. For this game, the staff on the sidelines and any Alouettes players not dressing will all be proudly wearing shirts that pay tribute to the legendary Peter Dalla Riva, who helped Montreal win three Grey Cups in the 70’s. This also being Edmonton’s home opener, expect another flyover by the Royal Canadian Air Force and subsequent pearl-clutching from concerned citizens (i.e. non football fans frightened by noise). This won’t be a pretty match, win or lose. But if Montreal can go into a place where they haven’t won since 2013 and steal a victory, lots of people will sit up and take notice. That would also make it 2-0 versus Western teams, who are always expected to be much better than their Eastern counterparts. That’s all for now. Be sure to follow along on Twitter for last-minute notes and game-time analysis. Also have a listen to the Alouettes FlightDeck podcast, which can be heard on Podbean, iTunes and Google Play Music. A proud member of the Canadian Football Podcast Network! Enjoy the game, regardless of where you watch it.